Are you considering to revamp your bathroom design? While remodeling the bathroom, it calls for certain factors that need to be considered to ensure the proper value of money and time. 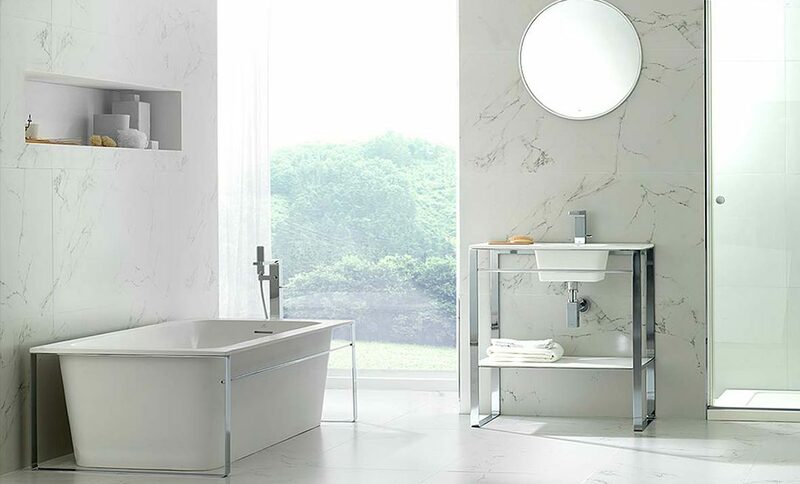 The most important consideration while designing a bathroom is to make it appear fresh and new. Therefore, if your budget fits, then you can consider replacing the major bathroom faucets with the new ones to give a perfect look. While there is a myriad of bathroom accessories to choose from, it might become highly overwhelming to choose the best bathroom faucets for your household. You would definitely want something that complements your bathroom décor. At the same time, you should not ignore the functionality offered by the bathroom faucets to your bathroom. Various factors like the configuration, type of finish, the type of use of your revamped bathroom, and the configuration of the bathroom sink faucets will have to be considered while redesigning the bathroom area. Configuration: The faucet configuration implies the mounting of the individual components. This calls for considering whether they would be wall-mounted or as bathroom sink faucets. It would also include the factors like number of handles and the number of holes required for the mounting. Centerset and widespread are the two common terms associated with the configuration of the bathroom faucets. These terms signify the dimensions or the distance of the holes in the bathroom sink faucets. In a typical centerset bathroom faucet configuration, the distance between the handles is maintained to be 4 inches. This bathroom faucet configuration works well for the smaller bathrooms with limited space. However, if the bathroom sink faucet has a 3-hole centerset configuration, then the bathroom taps are not limited to two handles. In this case, both the handle and the spout are mounted on a deck plate. A widespread faucet configuration has a separate handle for each component. This configuration is preferred for bathrooms with a smaller bathroom sink faucet and countertop. Valve Type & Construction: Another important consideration while choosing a bathroom faucet is to consider the valve type and its construction. A durable faucet includes a good valve technology. The most common material for making the body and spout of the bathroom faucets like bathroom taps is the brass. Plastic is the cheapest and the least durable material. The valve technology controls the flow of water in bathroom taps and other faucets like bathroom sink faucets. The most common types of valve technology used are: ceramic disk, cartridge, compression, and ball. Reliability and durability are the important considerations that should determine the selection of faucets on the basis of valve technology and its construction. Finish: The finish of any bathroom faucet is the treatment of the outer surface of the same applied to the exterior parts of the faucets like taps, bathroom tub faucet, and so more. The finish imparts color to the bathroom faucets and thus, enhances the overall look of the bathroom accessories. In addition to this, it also provides ample protection to the faucets from regular wear and tear due to moisture & chemicals. When it comes to the selection of the proper finish for the bathroom faucets, you would come across a myriad of exciting options. The basic types of finish options for the bathroom accessories that might entice you include brass, copper, nickel, stainless steel, chrome, nickel, brushed copper, and so more. If you wish to impart a contemporary look to the bathroom faucets like CP faucets, then modern finish options like matte black, satin gold, oil rubbed bronze, and so more can serve your purpose well. In addition to offering the desired look of the finish, the knowledge about the particular type of finish, its application, and durability features should also be kept in mind. One of the most durable options of bathroom finishes includes the PVD finish. PVD stands for Physical Vapor Deposition. This implies that the manner in which the coating of the finish is done on the faucet. A PVD finish is highly durable and even scratch resistant. Another famous option is chrome plating to provide the protection to finishes like brass and copper from corrosion and tarnishing. If you are buying the best range of bathroom faucets in Bangalore, then consider these factors before making your purchase. Make the best choice of the bathroom faucets for your home!